Heed the prophecies, heroes—the newest front in the battle for the fate of Sanctuary will soon open! Diablo III Eternal Collection, the definitive version of Blizzard Entertainment’s acclaimed action RPG, arrives for Nintendo Switch™ on November 2, giving a whole new generation of gamers the opportunity to face down the horrors of the Burning Hells. Eager adventurers can secure their digital pre-orders starting today through the Nintendo eShop for Nintendo Switch. Endlessly playable and continually evolving, Diablo III provides a lifetime of challenge and adventure, and the Eternal Collection includes the multitude of features, refinements, and updates that have been added to the game to date. On top of fighting through an epic story campaign that spans the High Heavens, the Burning Hells, and beyond, players can earn bountiful rewards in Adventure Mode, a never-ending onslaught of activity with constantly shifting objectives across all of the game’s locales. 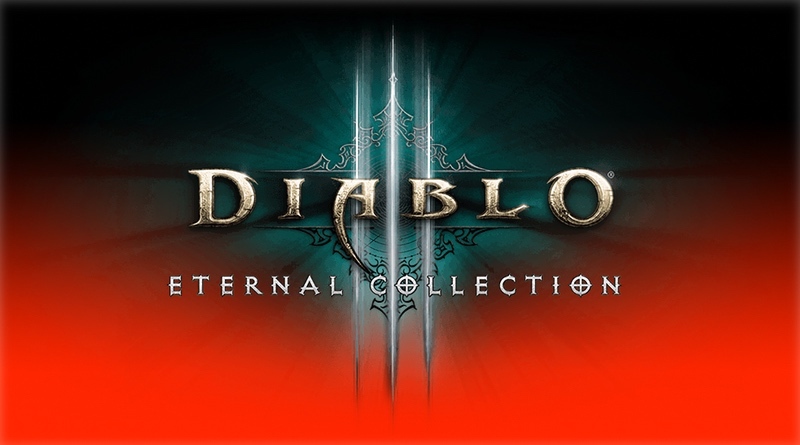 Diablo III Eternal Collection also includes Seasons, a recurring game mode that encourages players to create fresh characters, earn exclusive Seasonal rewards, and crush hordes of demons to earn spots on their region’s leaderboards. Diablo III Eternal Collection for Nintendo Switch will be available on November 2 at retail stores everywhere and digitally through the Nintendo eShop at a suggested price of $59.99. For more information, visit https://www.nintendo.com/games/detail/diablo-3-switch.